M.P. Electronics is consolidating several of its Phase Monitor offerings to give our customers a better choice for an 8-Pin Phase Monitor. We are making our 8-Pin Dual Voltage Phase Monitor our standard 8-pin offering which will allow customers to stock just one part number, regardless of the application voltage. The M.P. 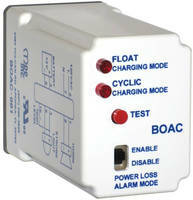 Electronics Dual Voltage unit has unique ranges for both the 230V and the 480V ranges. For 230V applications, the range of adjustment is 190V to 280V, allowing setpoint adjustment for those areas where the voltage may be significantly higher than expected. For 480V applications, the center point of the range is 480V, with the higher point of the adjustment range at 525V, again for areas where the voltage may be higher than expected. The M.P. 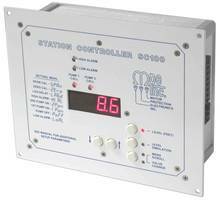 Electronics Dual Voltage Phase Monitor monitors all three legs of power, and flashes a series of flashes corresponding to the fault seen via the LED on the top of the unit for fault conditions of Under Voltage, Over Voltage, Phase Imbalance, and Phase Reversal. Historically, the 8-Pin Phase Monitor has been a SPST output, and if an additional contact was required, the end user would have to slave a relay to the Phase Monitor, or to use a different Phase Monitor that had more than one output relay. The M.P. Electronics Dual Voltage Phase Monitor has a Normally-Open contact between pins 6 and 7 that closes when the Dual Voltage Phase Monitor is energized. Pins 6 and 7 have been unused in all previous designs, so there is no concern over compatibility when replacing another vendor’s product with the M.P. 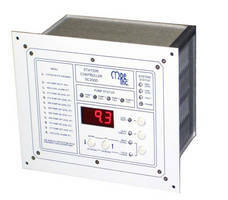 Electronics Dual Voltage Phase Monitor. M.P. Electronics is located in the “lightning capitol of the United States”, with only one place on the planet with more incidents of lightning, and this is on the continent of Africa. We have learned to make our products “Transient tough” and believe we manufacture the best products for the tough environments that this type of product sees in everyday operation.